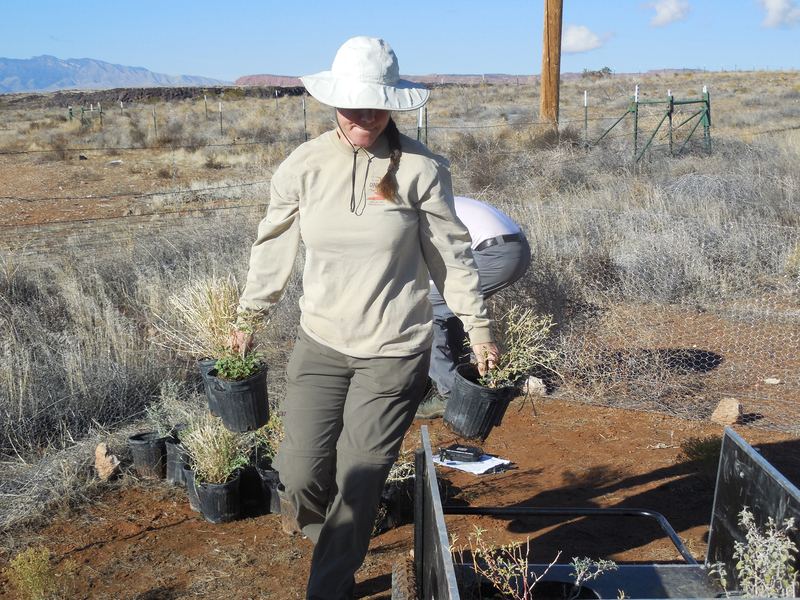 ST. GEORGE – A land exchange involving property within the Red Cliffs Desert Reserve has been completed and habitat conservation managers are considering various fire prevention measures in light of heavy winter precipitation. 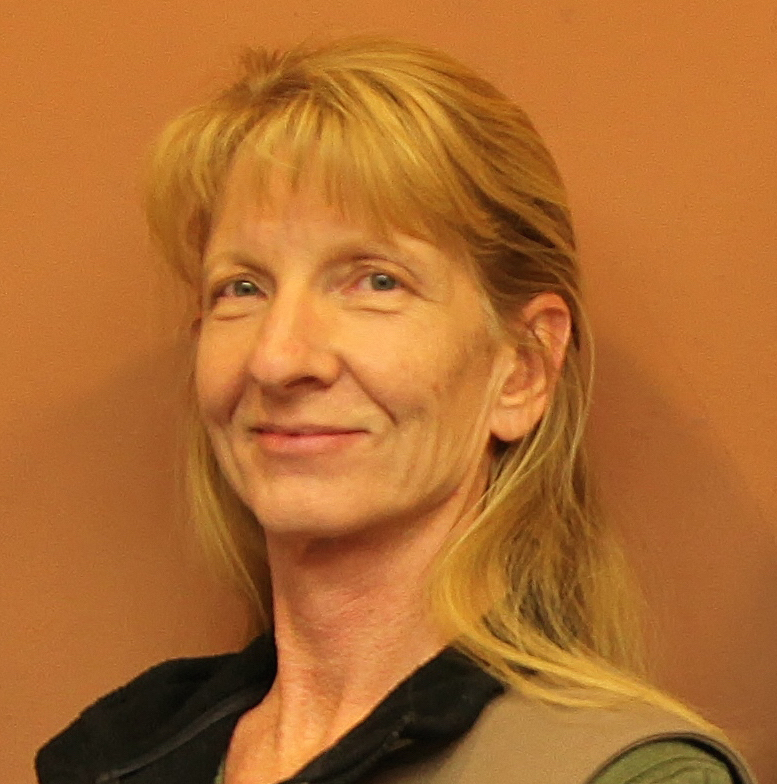 “It’s been raining a lot and it could turn into a bad fire season,” Habitat Conservation Plan Administrator Cameron Rognan told the Habitat Conservation Advisory Committee Tuesday. “So, it’s something that needs to be on our radar,” he said. In the past, herds of goats have been enlisted to eat sprouting tumbleweeds and cheat grass along with more traditional methods such as spraying and manual weed removal. Fire in the reserve is a major concern, as the Mohave desert is not adapted to wildfire which can spread easily with invasive plant species like Russian thistle – tumbleweeds – and cheat grass. Wildfires in 2005 and 2006 destroyed about 25 percent of the county’s managed tortoise habitat, resulting in a drop in tortoise populations of up to 50 percent. Tortoise populations did not rebound in later years and now the goal is to keep the animals healthy and prevent a further drop in numbers, Utah Division of Wildlife Resources biologist Ann McLuckie said in an earlier interview. Heavy winter precipitation can trigger the massive growth of invasive plant species, which increases the fire hazard and so land managers are looking for ways to prevent fires. A variety of small-scale efforts have been made in the past, U.S. Fish and Wildlife Service representative Larry Crist told the committee, including using county work crews with chainsaws and renting herds of goats to eat Russian thistle and cheat grass in an area that was previously burned. An area of particular concern where goats have been used is along Cottonwood Road, just north of St. George, and other areas of urban interface. However, biologist John Kellam said the goats may not be suitable in all areas. After some discussion, it was decided to gather habitat managers, biologists, BLM fire officials, the county fire marshal and perhaps city fire departments within the next month to create a plan for weed suppression in the reserve. The Long Valley land exchange has finally been completed, securing another 83 acres of privately held property within the 62,000-acre reserve which protects the desert tortoise and other species, BLM St. George Field Office Manager Brian Tritle told the Habitat Conservation Advisory Committee Tuesday. The reserve was created in 1996 to set aside land for the protection of the endangered Mohave desert tortoise and other species while allowing the development of tortoise habitat in the rest of the county. Developer Bob Brennan received 605 acres of land in the Long Valley area of Washington County in exchange for about 83 acres, leaving Brennan with more than 700 acres of inholdings in the reserve. A total of about 1,200 acres of private property remain within the boundaries of the Red Cliffs Desert Reserve. The value of both exchange properties is $7,690,000, according to the BLM’s published notice of decision; the price is high because private property in the reserve must be valued as if the desert tortoise and the reserve did not exist. 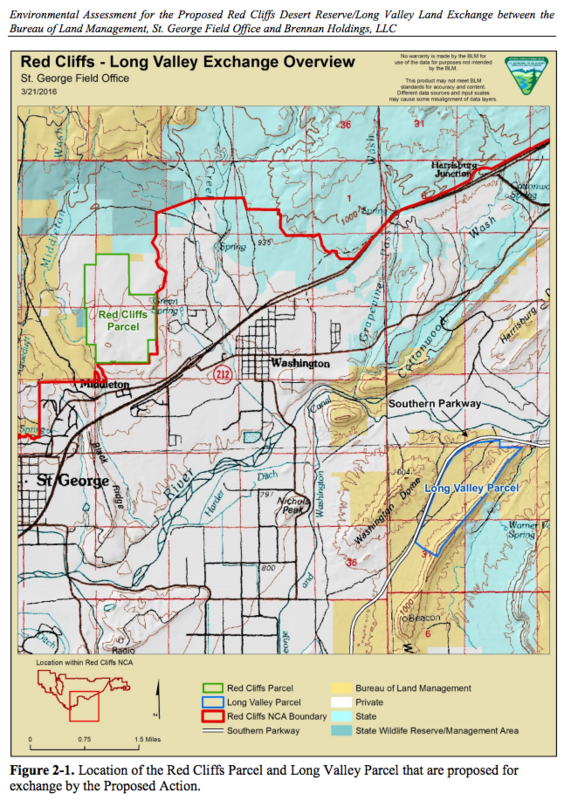 The Long Valley property is located just off the Southern Parkway about 1.5 miles from the St. George Regional Airport, 6 miles east of St. George and between Washington Dome and Warner Ridge. The parcel is within the 40,000-acre Sand Mountain Special Recreation Management Area but is not heavily used for recreation, according to the environmental assessment prepared for the proposed transaction. Brennan has targeted additional land near Sand Hollow Reservoir for exchange. However, such proposals have been vigorously opposed by off-road groups and individuals who use the open travel off-highway recreation area and want to see it preserved in its entirety. Since 1999, the BLM has acquired more than 6,500 acres of private inholdings in the reserve through exchange, direct purchase and donation. Another 6,500 acres of land in the reserve is owned by Utah School and Institutional Trust Land Administration. Although no other exchanges are in the works right now, BLM is working on prioritizing future exchanges, Tritle said. Tritle also told the committee he had secured funds for another 4,000 containerized plants which will be placed in a 100-acre test plot, part of an ongoing study into revegetating burned areas of the reserve. 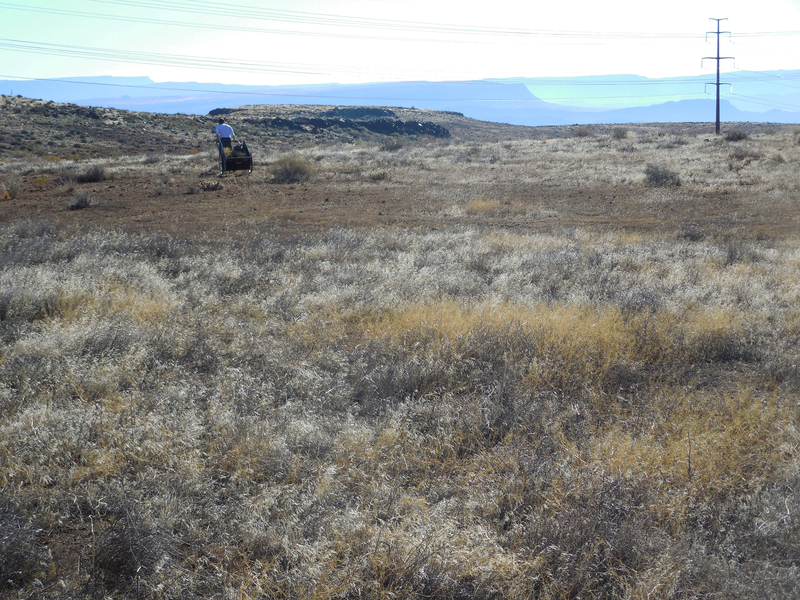 Another similar project is underway in the Woodbury-Hardy study area of the Beaver Dam Wash National Conservation Area.